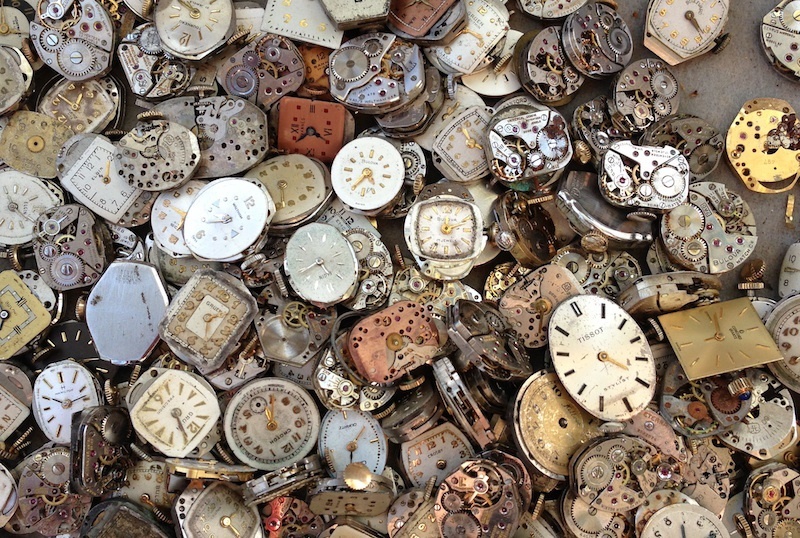 Are timesheets dead? Probably not yet. But more and more companies are discovering the advantages of a value pricing fee structure. And there’s much we can learn from them – not least the fact that ditching timesheets allows you to be paid what you’re truly worth, not what the clock tells you. We’ve found five diverse companies that are using innovative pricing to pursue impressive growth and set new standards for client service. Crunch Accounting is an entrepreneurial firm that is betting the future of small business bookkeeping is fixed-fee. Value-based pricing, paired with online services that harness the power of cloud computing, has helped Crunch flourish in the SME market. With fixed costs, clients have price stability, and can budget accordingly. “A huge factor in our growth is our dedication to fair and consistent pricing,” said Darren Fell, Crunch CEO, last year. In 2015, Crunch was named England’s fastest-growing firm by Accountancy Age. Crunch has more than 9,000 clients, 170 staff and turns over £7 million. Mazuma takes a novel approach to pricing. It charges by the weight of the paperwork. Up to 1kg of paper costs £199. “We couldn’t ask people to count the pieces of paper they were sending us, so weight seemed the obvious way to do it,” Lucy Cohen, co-founder, told Economia last year. Mazuma also offers a fixed-fee monthly service. 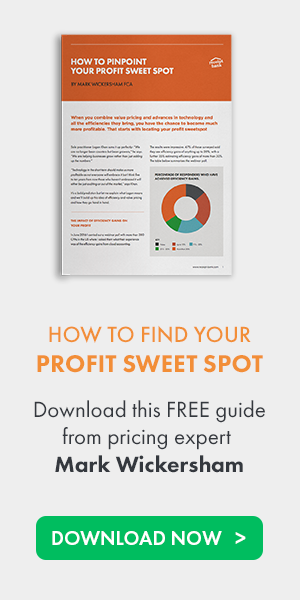 Consistent pricing means Mazuma can then focus on strengthening client relationships. The company won the National Chamber of Commerce’s Excellence in Customer Service award for two years, back-to-back. It’s paid off. Mazuma has more than 2,000 clients and offices across the UK and in the US. Showing themselves ready to adapt to new technology and processes, KPMG has started to tailor their prices and bespoke services to meet their small business clients’ needs. Its Small Business Accounting service targets SMEs with digital technology. Priced from £150 per month, it provides online accounting and tax services — including accounts preparation, bookkeeping, payroll, VAT and corporate tax returns — to start-ups via the cloud. Entrepreneurs have little time to do the books. But fixed-fee cloud services “will help to take some of that pain away, enabling entrepreneurs and owner managers to really focus on driving growth across their business”, claims Iain Moffatt, head of Enterprise for KPMG. Living up to their name, Exemplar Law was the first corporate law firm in the US to exclusively adopt fixed, value-based pricing, claims Christopher Marston, founder and CEO. Since its foundation in 2005, it has blossomed. The appeal for their customers is clear – churn is less than 2% a year, says Marston. Accountancy practice Kildal Services transformed itself with value pricing. Founder Stacy Kildal noticed her clients wanted her expertise — not just hours. So in 2008, she opted for flat-fee pricing with monthly billing. The level of transparency increased client loyalty. It also allowed the firm to offer more valued-added services. “They know exactly what they’re getting. And as their business grows, they can add or change services as needed,” Kildal says. Since then, she’s been named as one of CPA Practice Advisor’s 40 Under 40 in Accounting, and as one of K2 Enterprises’ 100 Most Influential People in Accounting. Moving from time-based to value-based pricing is a big step, but one that can really help take your business in a new direction – no matter your size and goals. 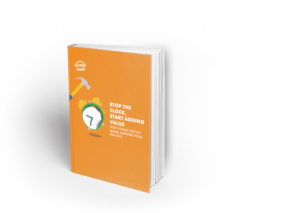 Find out how fixed-fee pricing can transform your practice in our new ebook “Stop the Clock, Start Adding Value: How A Value Pricing Model Improves Your Practice”.